Zapovednik Rdeisky, in the western part of Novgorodskaya Region on the territory of the Poddorsky and Kholmsky Districts. 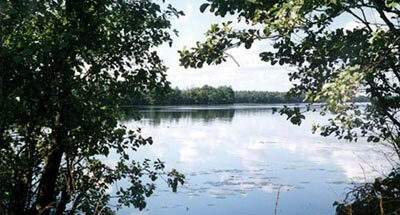 The Zapovednik was founded in 1994. Its area is 36.9 thousand ha. The Zapovednik is located within the Polistovo-Lovatskaya system of high muskegs, the largest in Europe. 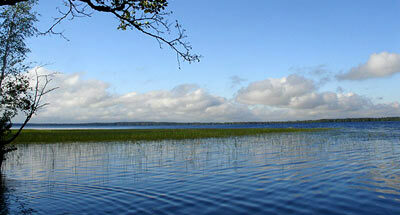 From the nature point of view it is similar to the Zapovednik "Polistovsky" and forms together with it a united bog. In the relief flat marshy valleys prevail with small ridges 4-10 in high and from 25 m to 200 m wide. 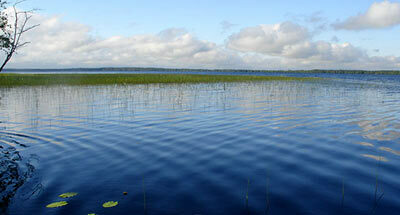 The territory presents a big area of non-disturbed high bog with paludal lakes. Transitory and lowland grass bogs are met. In the plant cover bog mosses, sedges, cranberry, Rubus chamaemorus and sundew prevail. Ridges are covered with coniferous and broad-leaved forests of pine, birch, alder, aspen, spruce. Elk, badger, alpine hare are numerous here, European mink lives here. Wood grouse, black grouse are numerous. The greatest in Europe population of whaup is noted here. Species rare for the District are met: Arctic loon, golden plover, crane, pigeon hawk, whimbrel. Of the species put in the Red Data Book of Russian Federation there are registered the following: golden eagle, black stork. The Zapovednik's territory within the Polistovo-Lovatskaya bog’s system is included in the list of bogs of international significance.